A Bangladeshi bishop has launched an inquiry after a priest was accused of sexual relations with women and a girl under 18 and the embezzlement of funds to buy their silence. 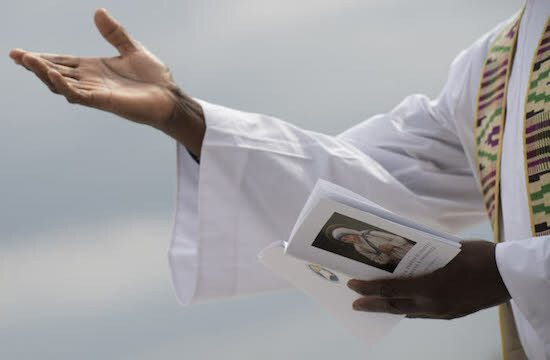 Father Walter William Rozario, 42, is facing a second church inquiry following his disappearance before Pope Francis' visit to Bangladesh last year. The priest was assistant parish priest of Maria Virgo Potens Church in Borni, Natore district, and acting headmaster of church-run St. Louis High School when he disappeared on Nov. 27, just days before the papal visit from Nov. 30 to Dec. 2. Police suspected he had been kidnapped when they found his abandoned motorbike and discovered that his mobile phone was switched off. After he was found by police 410 kilometers away in Sylhet on Dec. 1, Father Rozario admitted no one had kidnapped him but claimed he went into hiding due to psychological trauma he was suffering from a blackmail attempt. Ucanews.com reported on June 13 that the priest had allegedly been involved in a string of illicit relationships with women and one underage girl since his ordination in 2008. Bishop Gervas Rozario of Rajshahi told ucanews.com in an email on June 13 that Father Rozario has been removed from his post of acting headmaster at St. Louis High School. "But to remove him from the priestly ministry we need to wait to see if the allegations are proved," said Bishop Rozario. The prelate said a diocesan committee held an inquiry in December into the priest's disappearance. "The first inquiry was based on police inquiry results and the parish priest's investigation results. No one came with allegations to the diocese," Bishop Rozario said. The current team of investigators includes Father Emmanuel Rozario, rector of Holy Spirit National Major Seminary, and Father William Murmu, chancellor of Rajshahi Diocese. As part of the investigation, Father Emmanuel Rozario accompanied by Father Walter Rozario went to Borni Catholic Church on June 12. Assisted by parish priest Father Subroto Purification and assistant parish priest James Shyamol Gomes, they interviewed women and girls on church premises. The interviewees included two girls aged 18 and 16 previously interviewed by ucanews.com for the report that exposed the priest's alleged relations with women and an underage girl. The 18-year-old girl was asked what she knew about the disappearance of the priest. She replied that it would be better to ask Father Walter Rozario and police about it, according to a close relative. Apparently irritated by being repeatedly asked the same question, she angrily replied: "All of you know the truth, so why keep asking me the same question again and again? You know the truth but you don't want to spell it out. I know nothing about it." Bishop Rozario said the issue has been brought to the attention of Cardinal Patrick D'Rozario, president of the Catholic Bishops' Conference of Bangladesh (CBCB), and an official CBCB team would oversee the inquiry in accordance with the CBCB's sexual and ethical conduct guidelines approved by the Vatican. 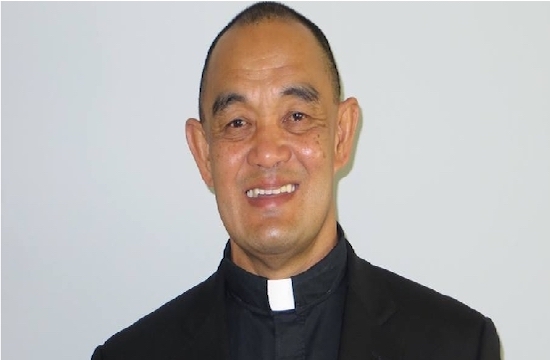 He said Father John Mintu Roy, a diocesan priest due to complete his studies in the Philippines in August, would take charge of St. Louis High School as headmaster.